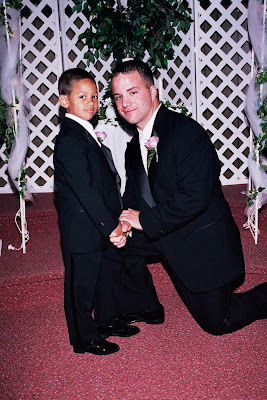 Ok.....you got me....I'm not a dad....but I just read this beautiful poem written my Matthew Turner on his blog. I thought it was a beautiful expression by a dad who loves his role. My husband is a good man. He provides for his family, he loves his kids, he is faithful, honest, dedicated, and trustworthy. He is a man who loves God, and I love him very much. I love my daddy! I hope that my kids have a relationship with their dad like I have experienced with my dad.